Kids Will Love Arlo the Elephant! My girls love to read, I am pretty sure I have said that 1,000 times, but they do! And I love to sit and read with them. We are always looking for fun new books. Recently, Arlo the Elephant came in to our life and I am so glad that he did! Arlo the Elephant is fun and full of adventure. He lets his imagination roam, which is one of his best traits. He is curious and smart, just like any young child. I see a lot of my girls in him. 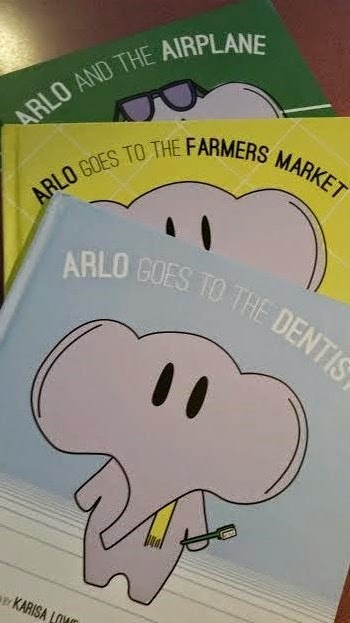 He currently stars in three books – Arlo Goes To The Dentist, Arlo And The Airplane, & Arlo Goes To The Farmer’s Market. The day these books arrived, we settled in to read one, and ended up reading all three – TWICE through. 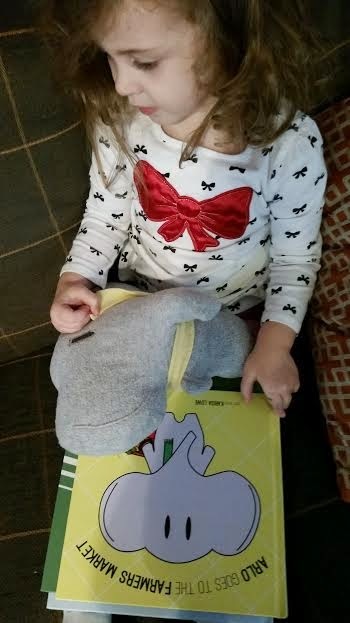 Of course, in order to read the books, my three year old had to hold on tight to her Arlo stuffed animal! Several times now, I have been called in to the living room while cooking and I see my 3 year old on the couch, with Arlo and his books, ready to read. “Who cares about dinner, mom? Let’s read about Arlo!” she says. 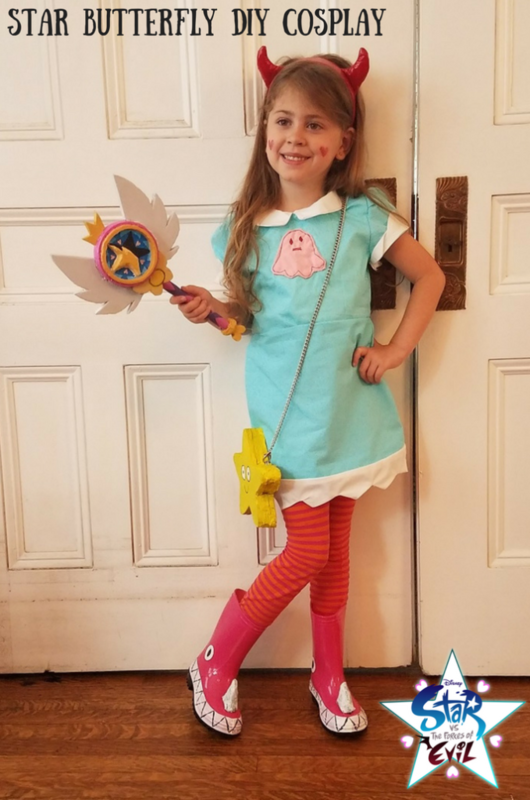 That girl… she warms my heart! Just the other night after dinner, my husband brought some skittles to her. She looked him right in the eyes and said “Candy does not make us grow daddy. Arlo’s mommy said so.” That is straight from the pages of Arlo Goes To The Farmer’s Market. Arlo’s books are full of fun, laughter, and lessons. I can guarantee that any child will love them. They are the perfect gift for this holiday season – and don’t forget the Arlo stuffy! Purchase Yours Here. 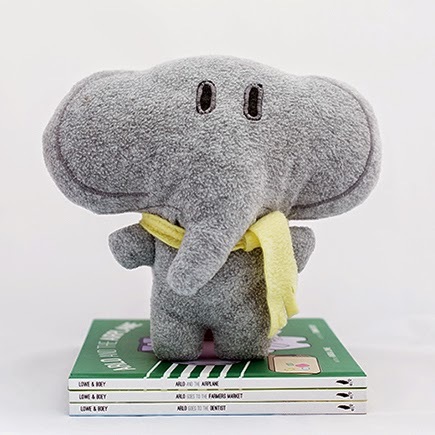 **Giveaway Alert** Enter to #win an Arlo the Elephant prize package including all 3 books and your very own Plush Arlo! Enter using the Gleam form below. Check out my other giveaways while you are here and, as always, GOOD LUCK! I received these free in exchange for my unbiased, honest review. All opinions expressed are 100% my own. Arlo the Elephant is so cute! My niece would adore him! Wow that elephant is adorable! The books and stuffed toy would make a great gift set. 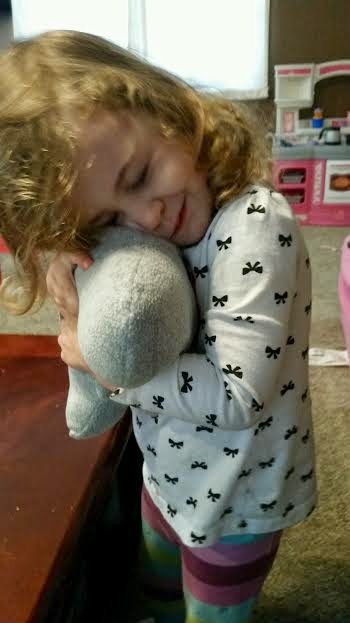 that elephant is so cute--perfect for kids to snuggle with as you read them the accompanying story at bedtime. How cute is that! I think I need to get one for my niece..
Aweee I am not a kid but I think I am in love with Arlo! What a cutie! I look for fun content that I don't get bored of too quickly! After all, I am going to be the one reading the books 2000 times in a row! Simply written and that are educational or teach a life lesson!